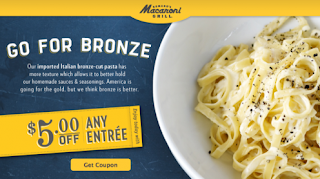 Macaroni Grill: $5 Off ANY Entree Coupon! Head over to Macaroni Grill's Facebook page to score a coupon good for $5 off any entree! Expires 8/12/12.